Fans of the hit PBS series Downton Abbey will get to see a whole new side of Dan Stevens in the second trailer for Picturehouse's upcoming thriller The Guest, following the first footage released in June. The story follows a mysterious soldier named Dave (Dan Stevens), who shows up at the Peterson household, claiming to have fought alongside their late son. While he helps bring this family together, it becomes clear that a series of deaths in town are connected to his arrival. Check out the new footage from You're Next director Adam Wingard's upcoming thriller, co-starring Ethan Embry, Joel Moore, Lance Reddick, Candice Patton and Maika Monroe, in theaters Septmeber 17. 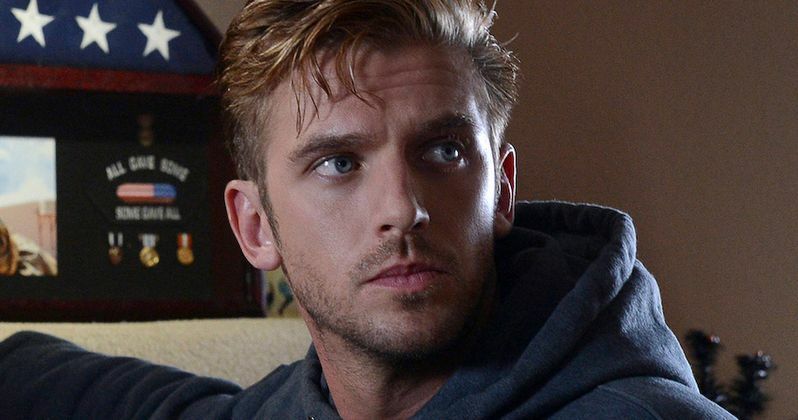 A soldier (Dan Stevens) introduces himself to the Peterson family, claiming to be a friend of their son who died in action. After the young man is welcomed into their home, a series of accidental deaths seem to be connected to his presence.